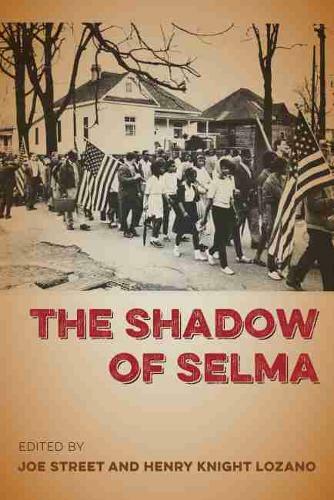 The Shadow of Selma provides a comprehensive assessment of the 1965 civil rights campaign, the historical memory of the marches, and the continuing relevance of and challenges to the Voting Rights Act. The essays consider Selma not just as a keystone event but, much like Ferguson today, a transformative place: a supposedly unimportant location that became the focal point of epochal historical events. Contributors to this innovative volume examine the relationship between the memorable figures of the campaign?Martin Luther King Jr. and John Lewis, among others?and the thousands of other unheralded people who also crossed the Edmund Pettus Bridge on their way from Selma to Montgomery. They analyze networks that undergirded as well as opposed the movement, placing it in broader historical, political, and international contexts. Addressing the influential role of media representations from contemporary newspaper and television coverage to the 2014 Hollywood film by Ava DuVernay, several of the essays challenge the redemptive narrative that has shaped popular memory, one that glosses over ongoing racial problems. Finally, the volume explores the fifty-year legacy of the Voting Rights Act, with particular focus on Shelby County vs. Holder, which in 2013 seemed to suggest that the Act had solved the disfranchisement problems of the civil rights era and was outdated. Taken together, the essays argue that while today the obstacles to racial equality may look different than a literacy test or a grim-faced Alabama State Trooper, they are no less real.